Who is Jenean Hill? Jenean is #1 First Team Real Estate’s Top Lake Forest Broker Associate and a national real estate trainer (in all areas except Southern California). How did she get there? When she left working for an ad agency and entered the field of real estate 18 years ago, she saw that there were many things that were broken. She sought out to fix them by split-testing home sales method after home sales method in both buyers’ and sellers’ markets. By doing so, she came up with a unique and unbelievably effective real estate sales system that insures hundreds of visitors to each of her renowned “Block Party-style" Grand Opening Open Houses®, multiple offers well over comps and opened escrows the following weekday. Besides the above, one more thing her sellers love about their homes selling over the first weekend is that they never need to vacate their home after cleaning it, turning on all of the lights and securing their pets day after day for months in order to allow agents to bring their buyers through the home one at a time. 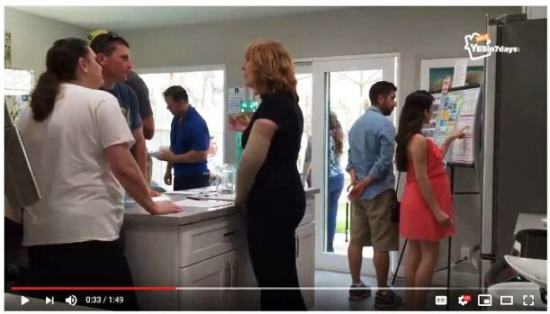 This is because her “one and done" Grand Opening Open Houses are expertly marketed like an Apple product launch that creates excitement for the product and urgency. There are 22,959 real estate agents in Orange County. It isn’t rocket science to get your real estate license. You probably have a friend, family member, or neighbor who has one. Not all agents are created equal, though. 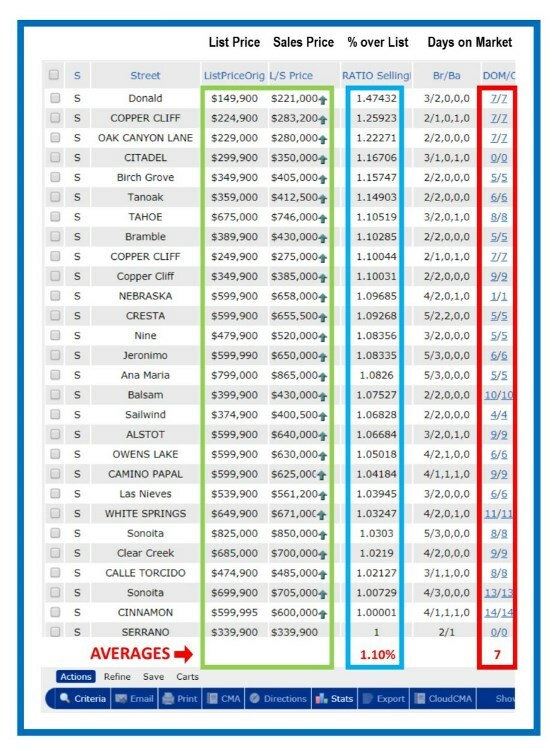 Part of Jenean Hill's secret sauce is knowing how to help sellers do cost-effective improvements and staging to their homes that will cause buyers to stand in line to get inside her Grand Openings® and write offers so high that it blows the stocks off neighborhood comps. 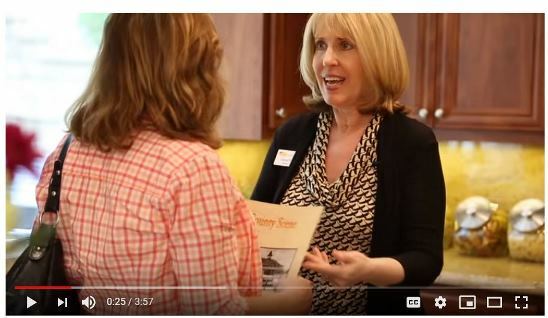 After the home looks model-perfect, Jenean’s schooling in psychology and years working for ad agencies makes her the consummate marketer for your home sale. There are no cutting corners with Jenean Hill. She purposely takes on less clients so that she can spend more time helping them be successful. This means that she earns less per year than other agents in order for her clients to earn more on their home’s sale. Her stats show that her homes sell for an average of 10% over comps and in an average of 7 days on the market for the last 10 years. 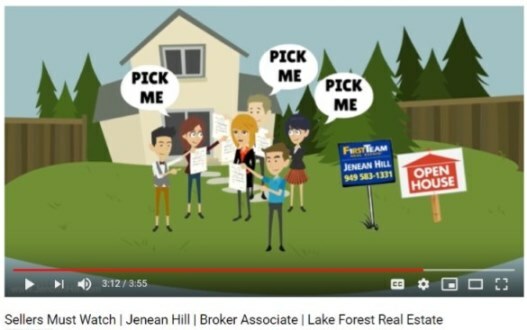 Click below to hear an audio reenactment of a call from a surprised buyer’s agent learning there will be a line out the door at Jenean Hill’s Grand Opening Open House. 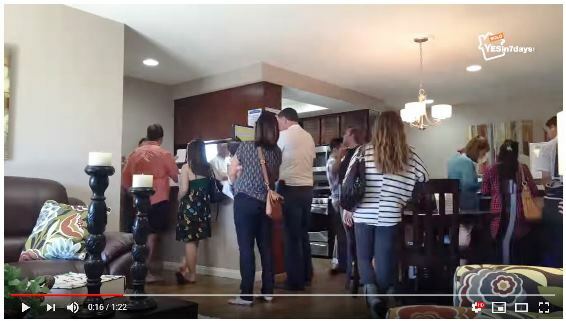 Click below to view a traffic-cam of one of Jenean Hill’s typical Grand Opening Open Houses. Jenean is compassionate and tenacious. Whether volunteering for charities, hosting international live-in students, or serving her business clients, she commits fully to whatever she does.? Here are three causes very dear to Jenean and her husband, Gary. Cultural Outreach—Jenean and Gary, have hosted forty students--often two at a time--over the past two decades. Some stayed for five years. The students are treated like "family members". In fact, Jenean and Gary ‘adopted’ one of their Japanese student-guests...a happy addition to the Hill’s biological family of one daughter and four grandchildren. Jenean is involved in leadership with this Acts of Appreciation Military Outreach. She also performs graphic design services for them and works on “think outside the box" projects. She is in charge of the procurement and preparation of "Goodie Bags" of needed items that are sent to troops overseas. Several times a year, she visits military bases to support the troops directly with great meals and uplifting fellowship. Free Wheelchair Mission is a nonprofit organization that provides wheelchairs at no cost to people with disabilities living in developing nations, providing dignity, independence, and hope through the gift of mobility. Jenean is passionately-committed to this charity, and she works with them nearly every day. She performs marketing projects, plans events, and she procures silent auction items for their annual 3,000-seat fundraiser gala. Recently Jenean hosted a fundraiser in her own back patio and raised $10,000 in four hours. Those donations took 125 disabled individuals off the wheelchair waiting list, and gave them live-changing mobility! Cancer Survivor—Jenean is a fighter. She fights for the rights of homeowners, real estate fraud victims, on behalf of her charities, her live-in international students, her clients and her business. Jenean fights for them all. And Jenean fights to win. Just ask cancer. Yup, she’s already fought that battle and won! Within six months of Jenean's receiving her real estate license, she was selected, out of a pool of three hundred new agents, as her company's "Top New Agent". Since then she has received "Hall of Fame" awards year after year from First Team Real Estate—one of the largest independent real estate firms in the country at which she hangs her license. She joined the Orange County Association of REALTOR®’s MLS Committee and she served as Chairperson and Vice Chairperson on numerous Association of REALTORS® committees.